Hanoi is speeding up the construction of the Cau Nga wastewater treatment plant in Hoai Duc district, which will treat wastewater discharged from the craft villages in the communes of Duong Lieu, Cat Que and Minh Khai. Part of the “Master Plan for Environmental Protection of Nhue - Day River Basin by 2020”, the plant is a model of collaboration mechanism between the central government and localities in urban environmental pollution treatment. Works on the plant began in November 2015 in an area of 9,397 square metres. Currently, the project is on an adjustment phase to raise its capacity from 13,500 cubic metres per day to 20,000 cubic metres per day. The plant is expected to be operating on the occasion of the city’s Liberation Day (October 10), according to representatives from the municipal Department of Natural Resources and Environment. 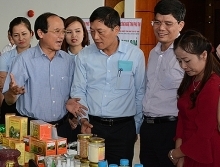 Aside from the Cau Nga project, Hoai Duc district is implementing two other waste water plants, namely Son Dong with capacity of 8,000 cubic metres per day and Van Canh with capacity of 4,000 cubic metres per day. Hanoi has focused on investing in waste water and solid waste treatment plants in the suburban areas. Currently, all of facilities lying on the Nhue - Day River Basin are certified to completely treat environmental pollution. 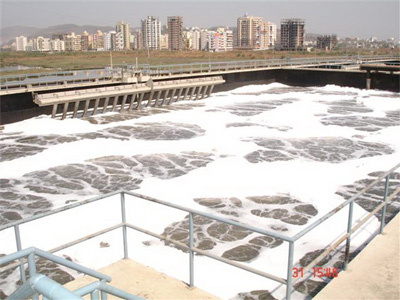 The city strives to synchronically construct separate rain water drainage and waste water systems by 2020./.